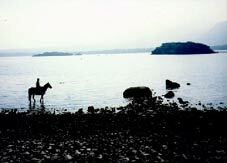 Killarney Riding Stables would like to welcome you. Located about a mile west of Killarney Town and known locally as "O'Sullivan's", Killarney Riding Stables were established in 1968 by Donie O'Sullivan and is still very much a family business with Donies wife Noreen, their two daughters Lorraine and Aoife, and son William all involved. Approved by the Irish Tourist Board and the Association of Irish Riding Establishments, the Stables are home to some 70 horses who have been pampered even more than usual with the recent completion of new stabling constructed to the very highest standards. most important bird colonies in Europe. It is a haven for sportspersons: Angling, shooting, golf, tennis, boating, sailing, surfing, mountaineering, hill climbing, walking, cycling - within this wild and beautiful peninsula, can all be enjoyed. 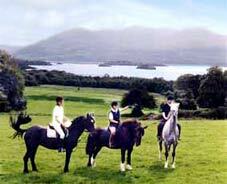 Killarney is central, within a 50 mile radius is all of Kerry and the neighbouring regions. It is a centre for nightlife: drama, dancing, singing pubs, cinema, and performances of traditional music, song and dance. Killarney is a jewel, with strangely shaped and tumbled mountains, combined with the constant interplay of light on water and vegetation, creating a view that is seldom the same for more than an hour. 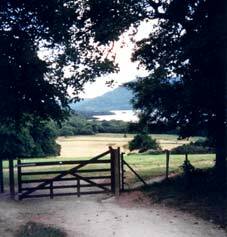 Place, time, weather and landscape embodying beauty.